The Police today released a photograph of 40-year-old Damitha Sagara Chandrasiri, the missing editor and scriptwriter of the ‘Koombiyo’ teledrama and sought public assistance to locate him. 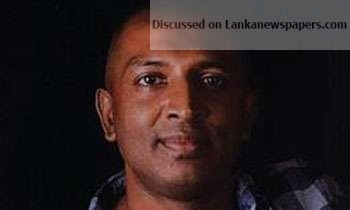 They said a friend of his had complained to the Police on October 29 saying that Mr. Chandrasiri, who was a resident of Senanayaka Mawatha, Vanniyankulama in Anuradhapura has been missing since October 24 from his boarding house in Nawala. Police said police stations had been notified about the disappearance. However, with no information being received about Mr. Chandrasiri, the police requested the public to inform the Welikada Police Station via 0112 862522 or the Welikada Police Station OIC on 071 8591650. ‘Koombiyo’ became a super hit in Sri Lanka overnight for its unique script and the captivating roles of the two main actors.